On October 18, 2017, members of the Lake County Sheriff’s Office Warrants Team and U.S. Marshals Service – Great Lakes Regional Fugitive Task Force (USMS-GLRFTF) apprehended Jordan P. Carmody, 23, of the 2500 block of North Rockton Avenue, Rockford. Carmody was wanted on a felony warrant for Unlawful Use of a Weapon (Enhanced – Class 3 Felony), two counts of Aggravated Unlawful Use of a Weapon (Class 4 Felonies), Aggravated Fleeing a Peace Officer (Class 4 Felony), and Unlawful Possession of a Controlled Substance (Class 4 Felony). 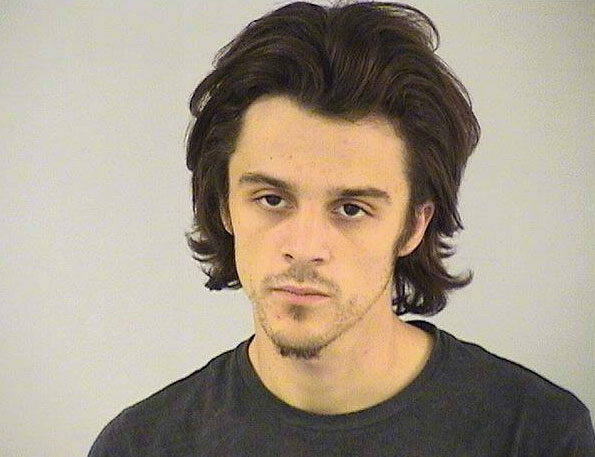 The arrest warrant stems from an incident which occurred about 5:20 p.m. on Tuesday, October 3, 2017, when Lake County Sheriff’s Deputies attempted to conduct a traffic stop on a vehicle that Carmody was driving. Rather than pull over, Carmody fled from the Sheriff’s Deputies. Carmody drove south into a subdivision in the area of Route 22 and Cortland Drive, Lake Zurich. He then fled from the vehicle on foot, and was last seen from Russet Circle and Applegate Lane, Lake Zurich, heading east in a marshy area south of the Target store on Rand Road south of Route 22. On October 3, 2017, police reported there were three suspects that fled from the vehicle. On October 18th, members of the Lake County Sheriff’s Office Warrants Team located Carmody inside of his residence in the 2500 block of North Rockton Avenue, Rockford. Carmody was found hiding in a bedroom closet, underneath a blanket. Carmody was arrested and transported to the Lake County Jail where he remains held on $75,000.00 bail. His next court date is October 24, 2017 at 1:30PM. Sheriff Mark Curran reminds the public the defendant is presumed innocent until proven guilty in a court of law. Jordan P. Carmody, suspect aggravated unlawful use of weapon, aggravated fleeing, unlawful possession of controlled substance.